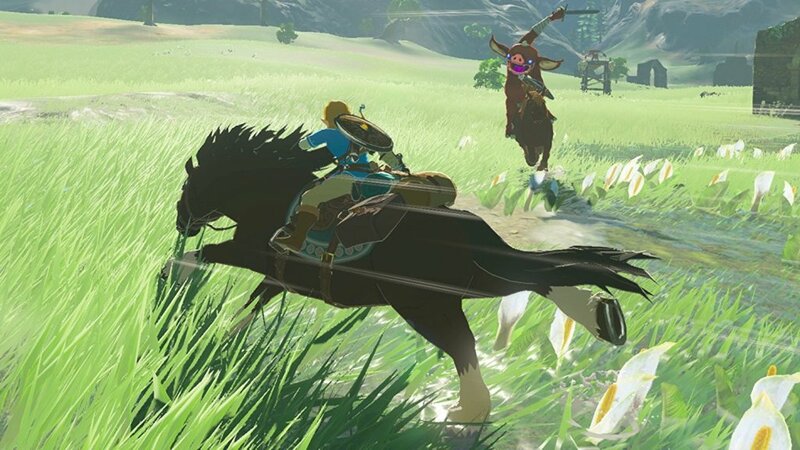 Link returns in the first open world game in the Legend of Zelda game series. Link is back to roam Hyrule field and trekking into the distant mountains. 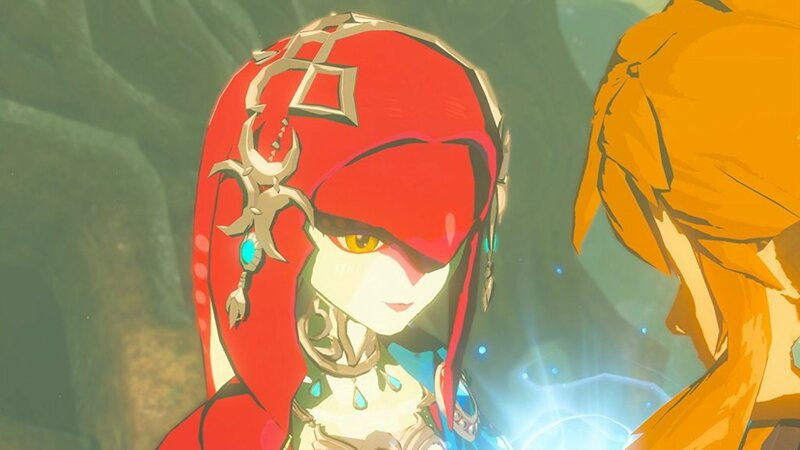 Peace needs to be restored to Hyrule so the races can live together in harmony once again. 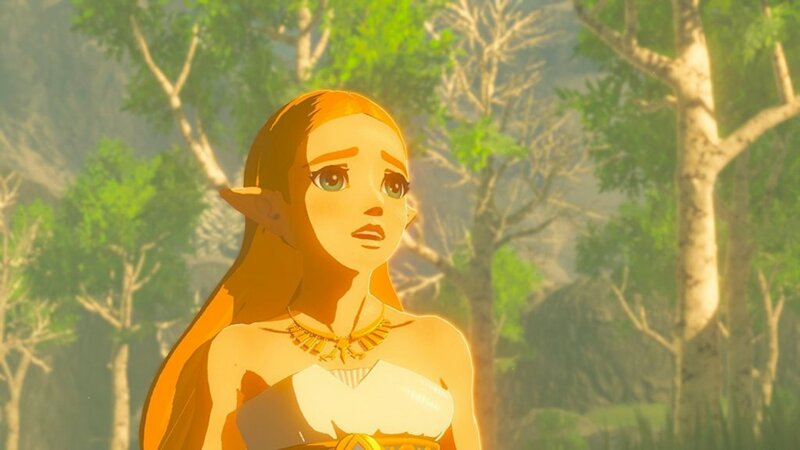 The Legend of Zelda: Breath of the Wild is an action adventure video game for the Wii U and the Nintendo Switch and is the nineteenth title in the Legend of Zelda video game series. The game is a launch title for the Nintendo Switch. The game is also compatible with Amiibo including the Guardian Amiibo Link as and archer and Link as a rider. 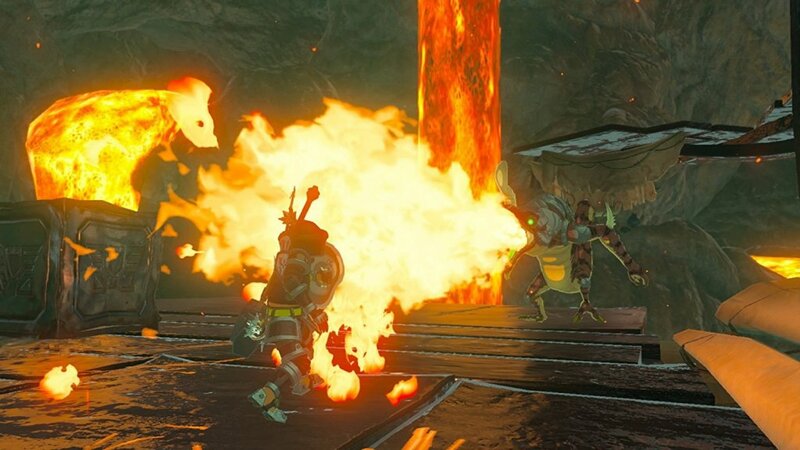 Unfortunately the old man you meet at the beginning of the game does not give Link a sword, that Link will need to find for himself, however the old man is willing to share his torches and baked apples with Link. 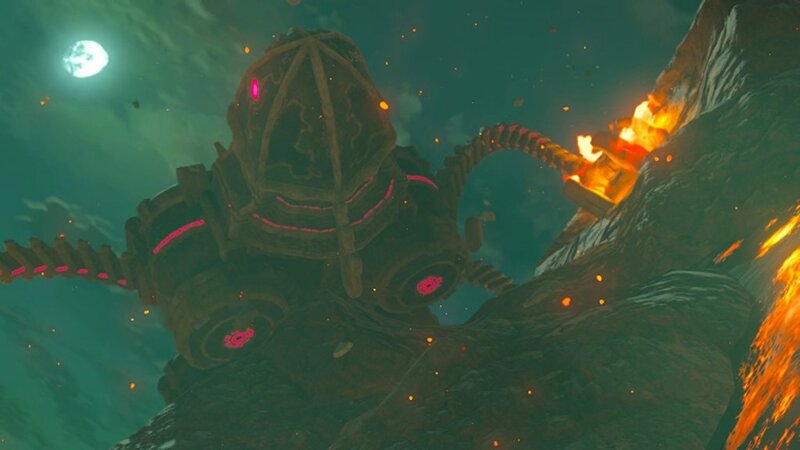 To find your weapons Link will need to scavenge and search for them. Link still needs to use his raft to get about his raft has sails so he will need to provide power for his sails. You will control Link in his latest adventure and you will need to direct him to find food and help him to defeat enemies, you can take him up mountains peaks while searching for new destinations. There will be dangerous beasts and towering enemies to stop you. There is a whole world waiting to be explored and while you do this you will need to find appropriate clothing for each situation you encounter, you will need warm clothes when you encounter colder climates and you will need to find cooler clothes to help you deal with the heat of the deserts.